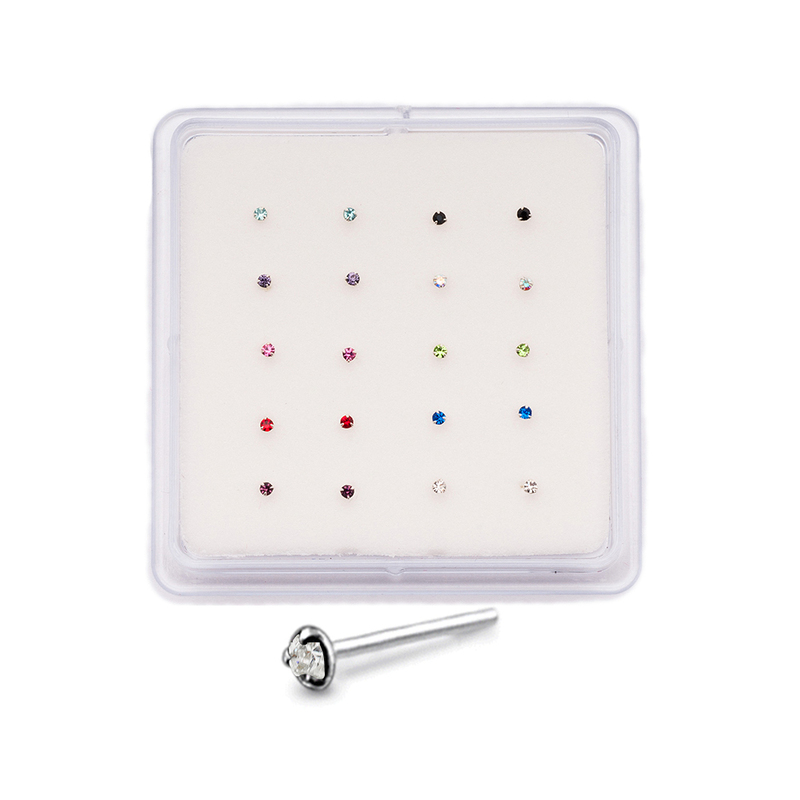 Lot of 20 925 Sterling Silver Nose Studs with 1.5mm High Quality Swarovski Gems. Pack has two of each color. Designed to lay flat on the nose.